We’d love your help. 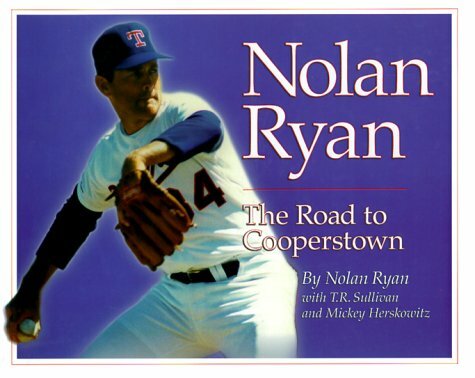 Let us know what’s wrong with this preview of Nolan Ryan by Nolan Ryan. When Nolan Ryan retired from the Texas Rangers in 1993 at the age of 46, he had tossed a league-record 5714 strikeouts and seven no-hitters. As the holder of 48 major league records, Ryan received the highest vote total upon his election into the Hall of fame. This book offers a sentimental trip down memory lane with pro baseball's greatest strikeout king. To ask other readers questions about Nolan Ryan, please sign up. 7 no-hitters!! He simply ruled!! Ryan dominated the game in many ways and his place in the hall of fame is undisputed. This book is the only of its kind, which is autobiography accompanied by a plethora of fine pictures spanning Ryan's life before, through and after baseball. Ryan spends a fair amount of time talking about each of his milestones and how each developed. I even learned some things I didn't know about his career before I read the book, so for those of you with an interest in Nolan, 7 no-hitters!! He simply ruled! !